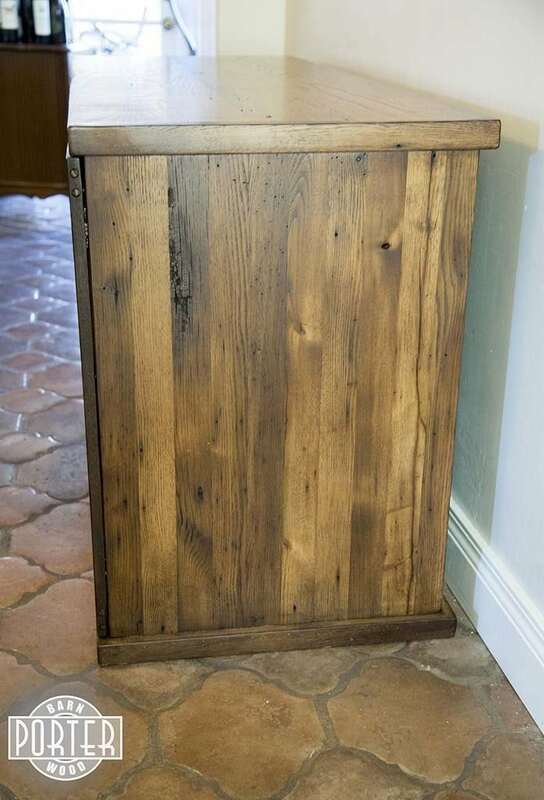 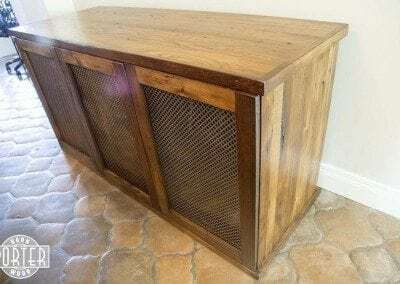 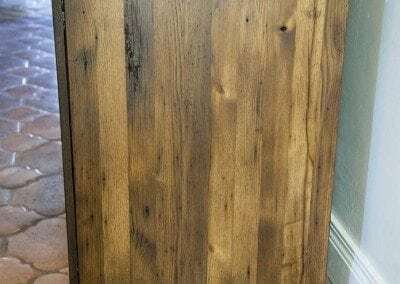 How about a reclaimed American Chestnut/Oak Wine Cabinet to hold your favorite wine? 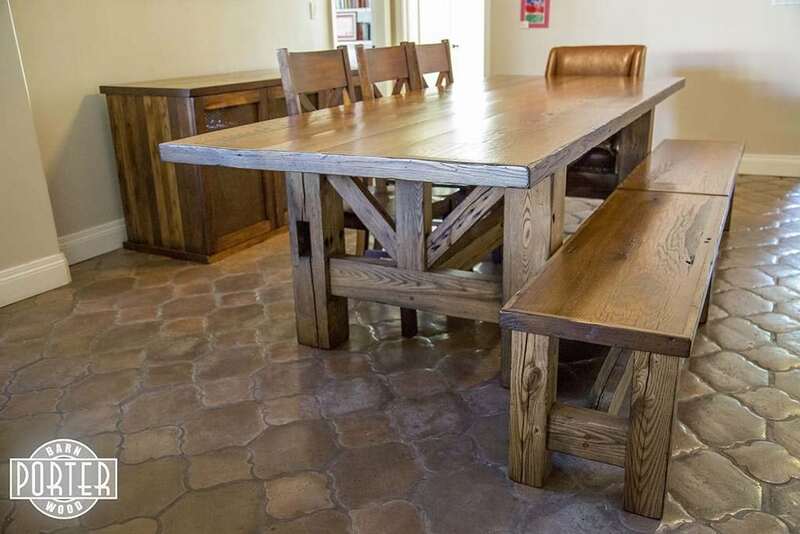 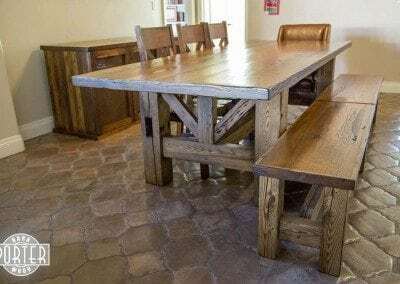 That’s exactly what we made for a customer who previously had us make a matching Table and Bench out reclaimed American Chestnut/Oak . 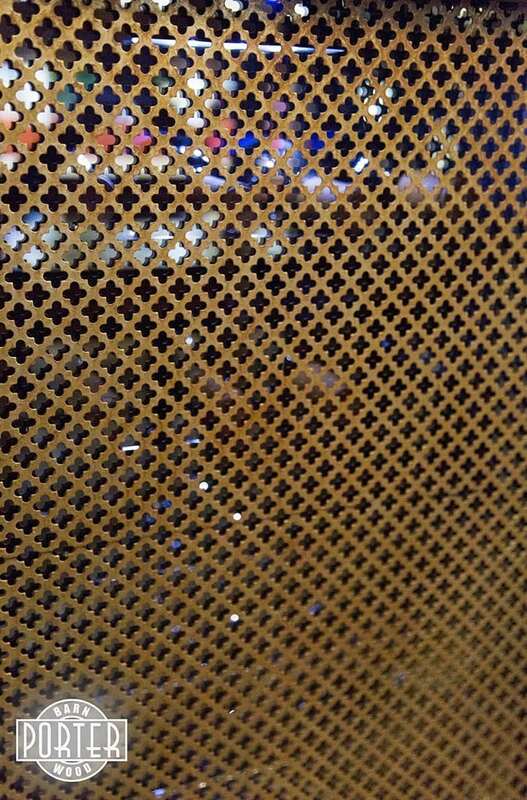 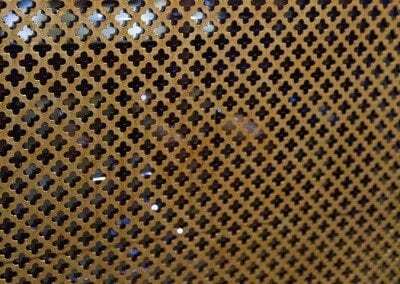 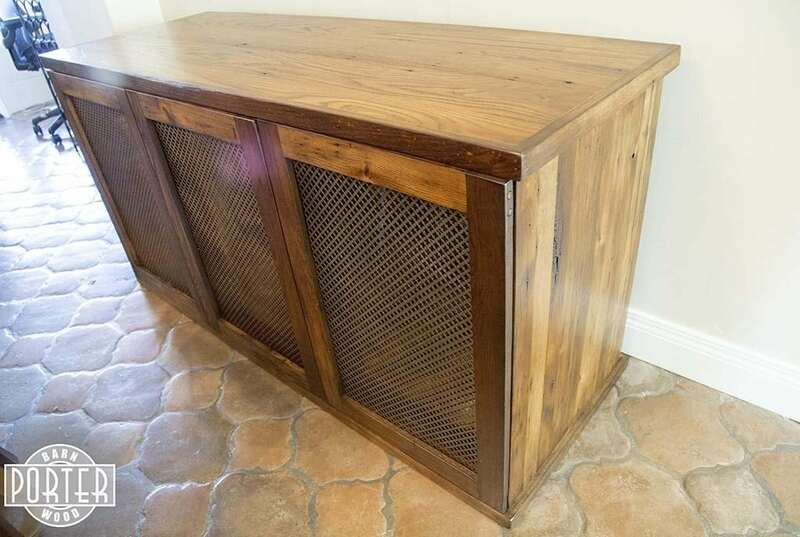 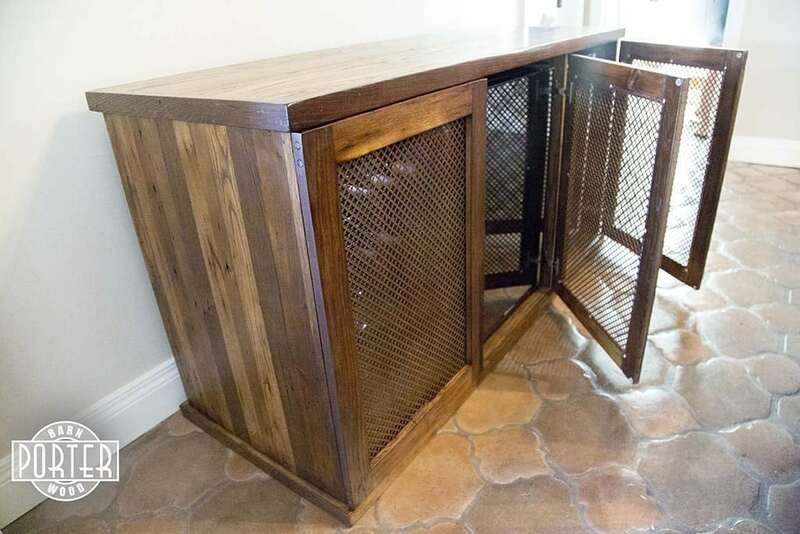 The matching cabinet turned out beautiful, made with the custom metal mesh insert by Porter Iron Works. 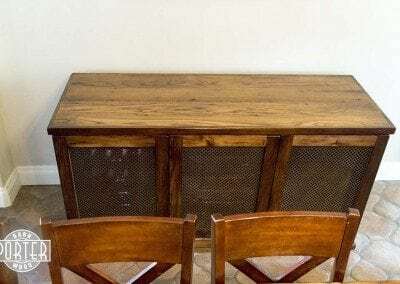 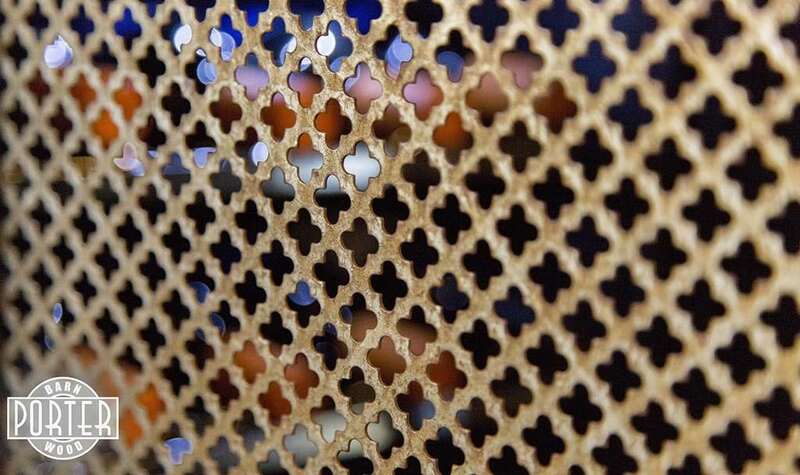 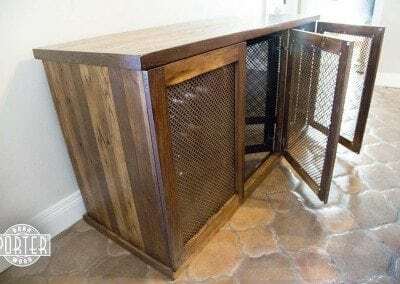 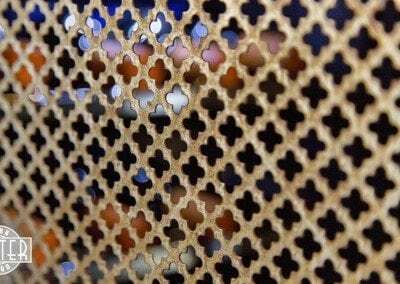 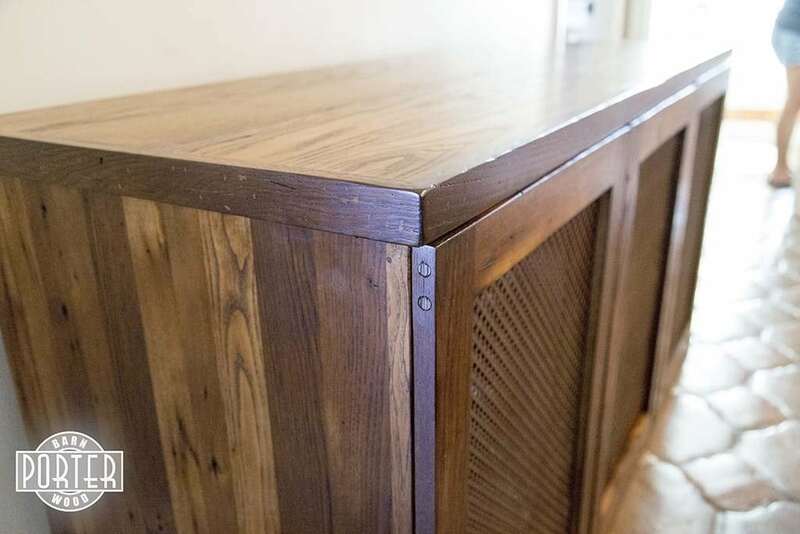 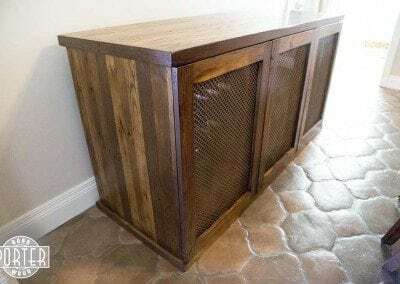 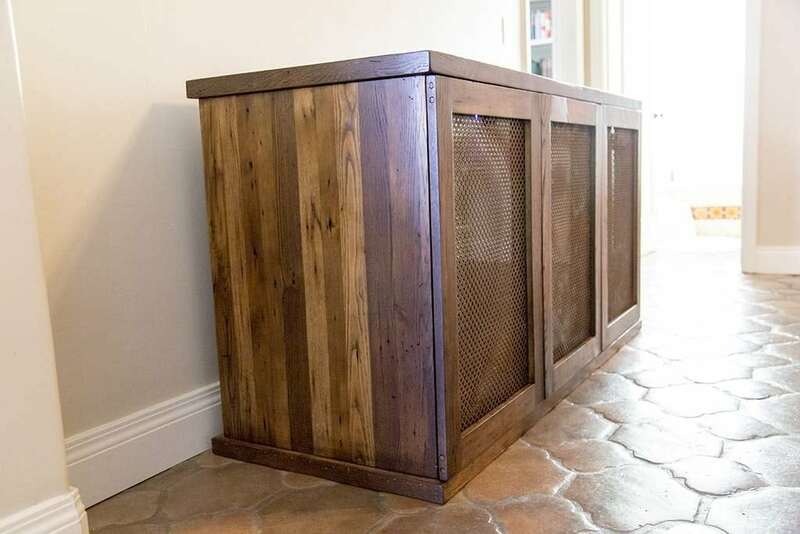 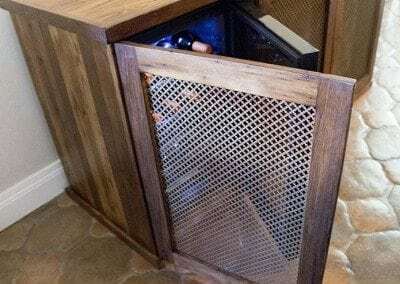 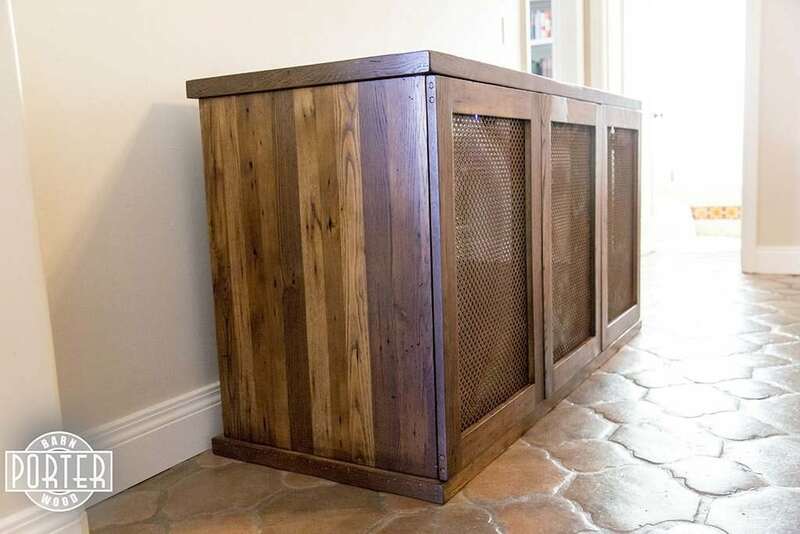 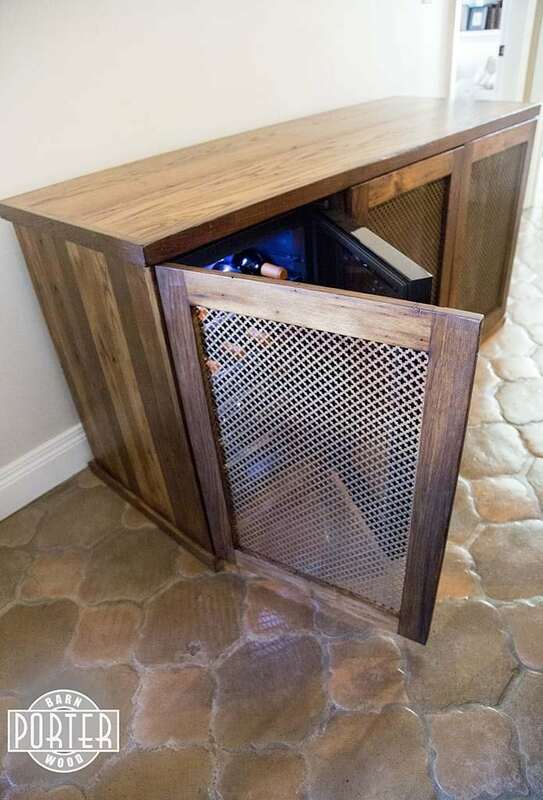 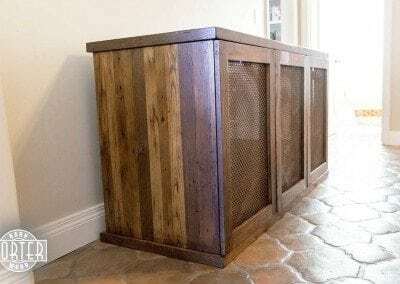 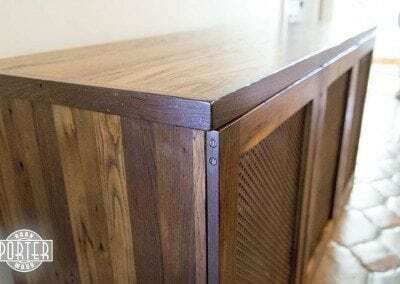 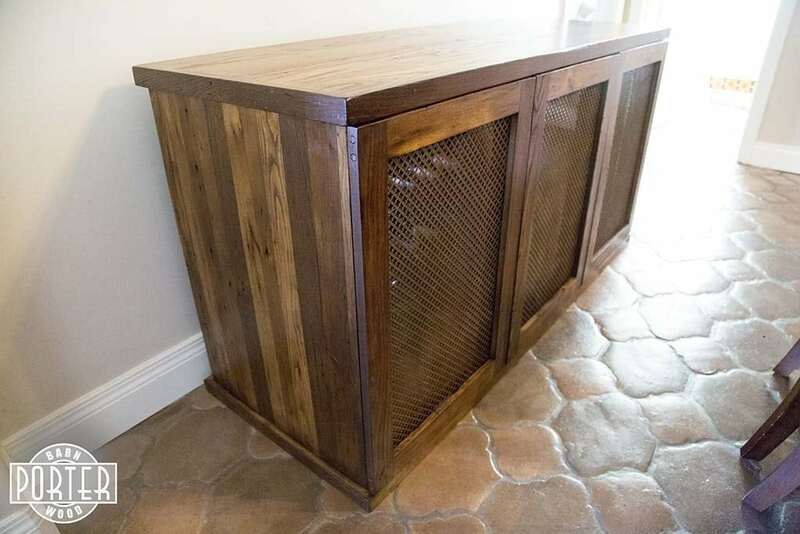 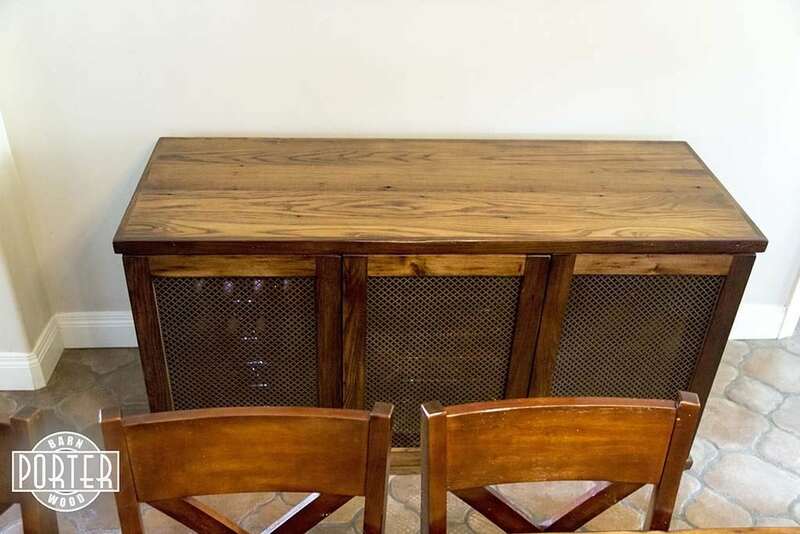 The cabinets hold three wine coolers, and look awesome when the wine cooler’s inner lights are on, which allows the wine bottles to be seen through the metal mesh.